This is the fourth part in a series of five posts from Siba Grovogui, Professor of International Relations and Political Theory at John Hopkins University. The first part is here; the second here; the third here. The series considers the character and dimensions of the tension between the African Union and ‘the West’ over interventions in Africa. As before, responsibility for visuals adheres solely to Pablo K.
It is not accurate to say that the African Union has been indifferent to the conflict in Libya. If there has been silence in Africa, it has to do with the extent to which the ‘maverick’ Colonel (Gaddafi) has angered some of his peers over the years by interfering in the affairs of such states as Nigeria, Liberia, Burkina Faso, Sierra Leone and others, with disastrous effects. Even when, as in Sudan and Uganda, officeholders have welcomed his entreaties, large segments of the populations have not appreciated them. Yet, regardless of their personal views of Gaddafi and their political differences with him, African elites and populations have yearned for a more positive, conciliatory, and participatory solution to outright regime change or the removal of Gaddafi preferred by the West. This variance, I surmise, comes from a positive understanding of postcoloniality that include forgiveness, solidarity, and democracy and justice, as exhibited in post-apartheid South Africa and post-conflict Liberia, Angola, Mozambique, and the like. Coming from a politician, these words may read like slogans. But the uniform refusal of the AU to endorse Western intervention tells another story. This story has multiple facets. 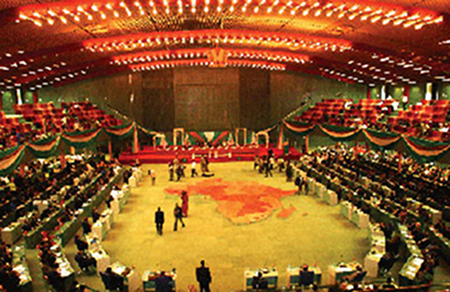 The first is a convergence among multiple components of the African body politic toward the principle of consensus in decision-making – a practice that has a long history in Africa. Secondly, there is growing unease on the continent about the forms and foundations of outside (principally Western) intervention in time of crisis. In the case of Libya, many African leaders were unsure whether war – as opposed for instance to the interdiction of troop movements from all sides – was the appropriate response to Gaddafi’s and the opposition’s belligerence. Africans were also unsure about the moral and juridical foundations of the war itself, the selection of targets (including the destruction of infrastructure), and the wisdom of singling out one side for punishment (Gaddafi’s) and the other for unquestioned endorsement (the opposition). The most important of African misgivings about Western intervention is the least reported in the media. This is the fear that, rather than promote democracy, the intervention would produce the opposite effects. The argument is that the West may be a beacon of democracy at home, but that there are few indications in the foreign policies of its constituent entities that they foster the growth of democratic cultures outside the domestic provinces of states. The most notable exceptions are US efforts in Japan after World War II. Otherwise, in regard to regions such as Africa, generations of Western policy makers regarded anti-colonialist and nationalist calls for domestic and global democracy as an implicit attack on Western interests. There was a simple explanation to the seeming paradox. In nearly all these instances, the postcolonial imaginary combined the need for domestic democracy with a desire for the total transformation of the inequities in dimensions of international existence: political, cultural, scientific, military, and otherwise. In the face of the resulting postcolonial challenges, the West and the then Third World alliance – of Afro-Asian and Latin American states – seemingly reversed roles in regard to the openness of the processes, mechanisms, and instruments of global governance. In their new roles, so-called Western democracies sought to stifle global democracy through opposition to transparency and inclusion at the United Nations (particularly at the UN Security Council) and transnational organizations such as the World Bank and the International Monetary Fund. By contrast, although still governed at times and in places by dictators and autocrats, third World entities relished in their role as advocates of global democracy (regarding the operations of the UN), political and economic pluralism (particularly at the Economic and Social Council, the Trusteeship Council, and the Decolonization Committee), and cultural and religious tolerance (in proclamations regarding international coexistence and the designation of world heritage at UNESCO). Now assembled in the North Atlantic Treaty Organization (NATO), hegemonic Western states resisted radical changes in the international order through active campaigns against the leaders of the ‘guilty’ African states (or those that did not support Western designs) resulting frequently in political overthrow or regime change. To be sure, Western opposition to global democracy was often presented as necessary and understandable; but the arguments never convinced advocates of reform of global institutions in the Third World, the so-called Non-Aligned Movement, and other non-Western majority international organizations and forums. To the return to the earlier paradox, in conjunction with their opposition to global democratic reforms, hegemonic Western states went to inordinate lengths to subvert democratic processes and the rule of law in perceived unfriendly states Africa (from Algeria to South Africa), Latin America (from Central America and the Caribbean to Chile and Argentina), and Asia (from the smallest Pacific Island to Indonesia and the Philippines). In the end, although Western states could point to the fact that they remained governed domestically through consensual or agreeable constitutional arrangements; they were either unable or unwilling to contemplate the extension of their domestically allowed freedom and protected liberties to others, whether as representatives of incorporated political entities or as citizens of formerly colonized entities. In short, the actions undertaken by the West presumably to defend its interests and values stood in stark contrast with those values. Some would claims that those ‘protective’ or ‘pre-emptive’ actions ultimately undermined the long-term interests of the West in the regions and states of interventions. The events in Libya today (both the revolt and the intervention) exemplify the domestic deficit at the national and global levels that anti-colonialists (and some postcolonial actors) have consistently denounced. The domestic democratic deficit is what has prompted street uprisings in North Africa and the Middle East (or MENA). The process of rectifying this domestic deficit in Libya is also undermined by the convergent actions of the Western coalition and the Transitional National Council, or TNC (the emerging authority in rebel-held areas). Not only is the Western coalition engaged in an active war against Gaddafi on behalf of the rebels, but the coalition has also fomented and condoned intransigence on the part of the rebels against a negotiated settlement. One idea, repeated reflexively by diplomats and reporters, is that negotiation under any circumstance means surrender to Gaddafi. Consequently, the TNC has thus far rebuffed all offers by the African Union to find a political settlement to the Libyan crisis. And offers to find a settlement have, unfortunately, been interpreted as efforts to preserve the Gaddafi regime. The global democratic deficit is embedded in the structures and processes of international organizations as well as the institutions and traditions of self-interested entities bent on preserving their own power. To confront this power, as Gaddafi found out when he challenged Ronald Reagan, is to meet a fate not unlike Gaddafi’s answers to those who rebelled against him. Like the domestic democratic deficit, the global democratic deficit is behavioural and structural or institutional. The connection between the non-democratic behaviour of global hegemonic powers and the possibility of democratic politics at the domestic level is often direct. Take for instance the role of the West in the political culture currently brewing in the Libyan opposition. Since endorsing the TNC as the sole legitimate representative of the Libyan people, the Western coalition backing it has remained silent as the organization grows intolerant by the day not only toward Gaddafi, his family, and allies but also toward Sub-Saharan African migrants accused of sympathy with the regime. And, as stated previously, the TNC has not only excluded negotiation with Gaddafi or his allies; it has snubbed all efforts by the African Union to mediate a political settlement. To either the West or the TNC, there could be only solution: total and unconditional surrender of political opponents. One wonders why the TNC would want to negotiate, compromise, or reconcile with allies of Gaddafi when the largest armies in the world are committed to eliminating these obstacles to their path to power. President Ahmadou Toumani Touré of Mali, an engaged democrat whose own behaviour in power contrasts dramatically with that of Gaddafi, gave an indication of his own sentiment about the situation in an interview granted to Radio France Internationale. Asked by the reporter why he would not join the West (again dubbed during the interview as the International Community), Touré gave the following answer, which I paraphrase: ‘We are asked to promote democracy in Libya against a man who holds power at the barrel of the gun and you want me to unseat him at the barrel of the gun and seat another group in his place. If Gaddafi’s unwillingness to negotiate and compromise is the problem today why is the other side relying on forced removal?’ Indeed, the current intransigence of the West and the TNC reveal a culture of intolerance that unsettles Africans of all political persuasions – and not just dictators who are destined to the dustbin of history. It is difficult today to pretend that the Western coalition has acted reasonably in Libya. Having sidelined Africans and blamed Gaddafi for all obstacles preventing conflict resolution, France, Britain, and the US can proceed to install the TNC as the new Libyan government. They are counting on the widespread sympathy for the Arab Spring to be absolved later of all sins of commission and omission. I doubt, however, that all will be forgotten. Since the UN Libyan resolutions were approved, NATO strikes have exceeded the initial mandate which was aimed at blocking Gaddafi’s aggression again civilians. 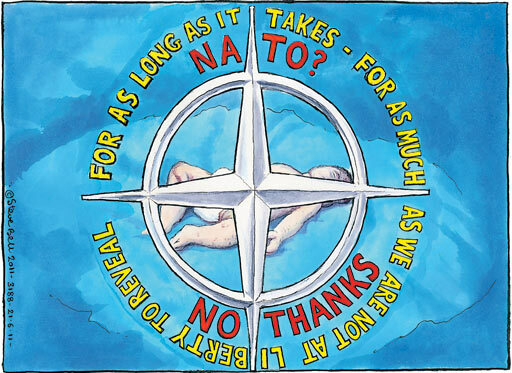 But NATO has not only converted this mission into one conjoined with the rebellion to unseat Gaddafi, its bombs have also targeted some of the nation’s infrastructure. The Western coalition has also openly embraced the idea of assassinating the Libyan leader as policy. For its part, France had delivered weapons to the so-called resistance, despite the putative weapons embargo stipulated by the UN. Great Britain sent Special Forces on the grounds to aid the rebellion at its onset. Finally, having unleashed a conjoined and combined attack with the rebels against Gaddafi, the Western coalition has encouraged participant and non-participant states to recognize the TNC as legitimate representative of the Libyan people. This recommendation also seems to belie the fact that the tribal and clan make-up of Libya suggests that Gaddafi has partisans who may not be represented by the TNC. Meanwhile, while NATO bombs loyalist forces and their positions, the TNC advances militarily. For this reason, the TNC has expressed open contempt for the idea of a cease fire followed by negotiation. 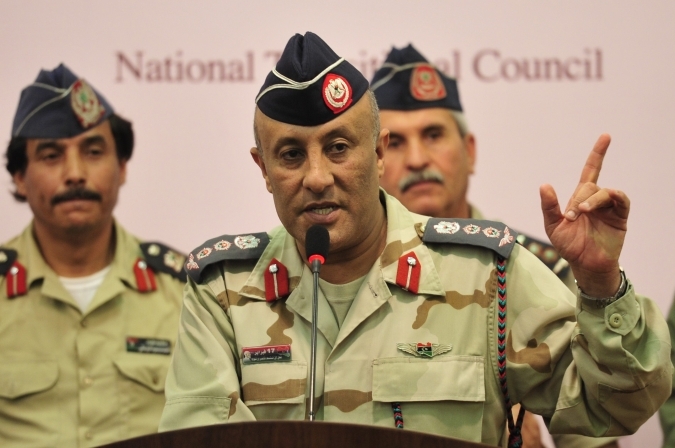 Together NATO and the TNC are engaged in a strategy for total military victory. These actions are not merely troublesome. They are indicative of a world order that appeals to reasonableness to give legitimacy to authoritarianism, discrimination, and partiality in the interpretation of the law and the application of international morality. If the Western coalition succeeds in subverting the spirit of the MENA Spring, which in my understanding included a return of power to the people and the restoration of the dignity of the collective, nothing would prevent it and its local allies from dispensing with other requirements of public life: democracy, the rule of law, and the ethos of pluralism. In addition, who would control the institutional processes that are supposed to help states heal from civil conflict? Who knows whether there would trials of those who ruled Libya for forty years and if so, whether those who just recently defected to the rebellion would be included and on what side? Whose military actions will be prosecuted as war crimes or crimes against humanity? Which lives lost will be deemed innocent and therefore worthy of memorialising? Which interests will be worthy of attention and protection? Only time will tell. The most important question bearing on global governance and international peace, however, is what lesson does the West wish to send to Africans by subverting the authority of the UN and side-lining Africa from a major historical event located in North Africa, and territorially contiguous and historically connected to the sub-Saharan countries of Mali, Mauritania, Niger, and Chad? In other words, how is the NATO coalition in Libya remaking the world and why? Again, time will tell. It remains that the idea embraced by the Western anti-Gaddafi coalition that one can be excluded from the political compact simply because of one’s location or association within an undemocratic regime would lead to a nightmarish scenario. This is understood by generations of activists who have fought for human rights, constitutionalism, and democratic inclusion as well as humanitarians who have tended to the social calamities caused by endless civil wars. So too do Africans. Congolese, for example, may recall that prior to the assassination of Patrice Lumumba, the US and its European allies had insisted that the elected Prime Minister negotiate with the secessionist Moise Tshombe in contravention of all applicable norms of self-determination and national sovereignty. Mozambicans and Angolans, too, might recall that, while financing the murderous armed bands of UNITA and FRELIMO, the US insisted that the legitimate governments of these countries accommodate these insurgent militia groups. Above all, nationalists in South Africa, Zimbabwe, and Kenya before them would definitely recall official lectures from Western chanceries on the need to forgive, reconcile, and negotiate new political compacts as a means to lasting peace. Western cynics might argue today these actions were all constitutive of geopolitics at the time and that the US and its Western allies were merely protecting the interests of local allies. Despite the instrumentalism underlying these US positions, which I discuss in the next section, Africans of goodwill took the call to negotiation as an opportunity for new kinds of politics. A welcome development! In Libya today, it takes a insidious disingenuousness to deny the utility and legitimacy of forgiveness, reconciliation, and negotiated political compacts when the end is to develop new kinds of politics at the end of the revolution. It is even more contemptuous for the media to lampoon the principal African negotiator appointed by the African Union, President Jacob Zuma of South Africa, for aspiring for a negotiated settlement. In doing so, the military intervention-supporting Western media seem to have succumbed to a momentary but necessary memory lapse. It is after all Zuma’s African National Congress under the leadership of Nelson Mandela that brought racially-divided South Africa back from moral death under apartheid to the much celebrated rainbow nation. One would expect Western leaders, and the media that reflexively repeat their opinions without questions, to allow that the historic heirs to generations of South Africans to whom the West sent liberal constitutionalists for guidance might legitimately resent Western advice to Gaddafi’s opponents today to reject the art and wisdom of forgiveness, toleration, and the rule of law. Ordinarily, these faculties and capacities might seem more germane to a post-conflict culture of coexistence than the current positions taken by the West and the TNC: to demand the surrender of the other side as preconditions to any settlement.